When I saw a dramatic, contemporary and stylish new line of laminate shower wall panels from Norway at the trend-setting 2018 International Builders Show I was blown away. I would swear these panels (even though I don’t swear) look exactly like tile. The catch though – is they have ZERO (nada, niente, null) tile joints. The ‘faux joints’ in these panels are a high-pressure laminate applied to a marine grade plywood sub-surface with an integral moisture barrier. They literally ‘click together’ like a floating wood floor (although they also use waterproof sealant between panels). Although these panels are beautifully engineered, what really surprised me was they are actually more popular than tile in Norway. This statistic blew my mind! In the United States, it’s tile, tile and more tile. When you build a custom home – the builder gives you two choice. A cheap fiberglass surround or a luxury tile shower. Although tile jobs look fantastic initially, it’s the eventually which gets you. Eventually you’ll be on your hands and knees with a scrub brush and nasty chemicals. This ‘eventually’ will make you curse your decision to use tile. And when you’re cleaning tile your builder, remodeler, or spouse for that matter – are no where to be found. This tasty job is yours and yours alone. Why put up with this crap anymore? Be like the Euros (and Norwegians in this case) and blow your tile up. Install grout free wall panels which look like tile. 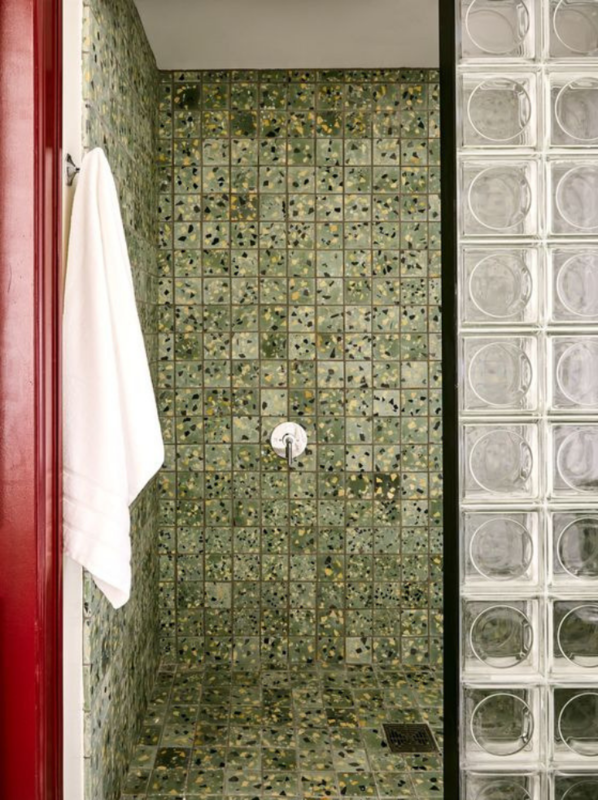 Call it your ‘no-tile, tile shower.’ It can be your little secret. You don’t have to mess with shower and tub wall grout joints ever again. (note for other ideas to get rid of grout read How to Eliminate Tile Grout Joints in Your Bathroom). The word ‘enclosure’ even sounds confining. Most bathrooms have shower enclosures. It could be a 3’ x 3’ phone booth sized stand up shower (next to a large soaking tub which just gathers dust). It could be a ‘spacious’ 5’ x 3’ space separated from the rest of the bathroom by ugly, pitted brass hardware and an old-style, flimsy framed shower door. It screams out – I’m-behind-the-times. European bathrooms are generally not confined by enclosures (in some cases because there flat-out isn’t enough room to separate space like this). What owners in apartments and condos in cities like Rome and Milan have are one level bathrooms without barriers between the shower and the bathroom floor. You may be wondering how does that work? Wouldn’t all the water on the bathroom floor leak onto your floors and furniture below? Using standard building practices done by most contractors in the United States this leaking problem could happen. But there is a better way to build a bathroom. That better (and safer) way is…. If you’re not sure what a wet room is, it can be defined as creating a bathroom (and shower) area which is at one plane. No ‘curb’ (or threshold) to step over to get into the shower. 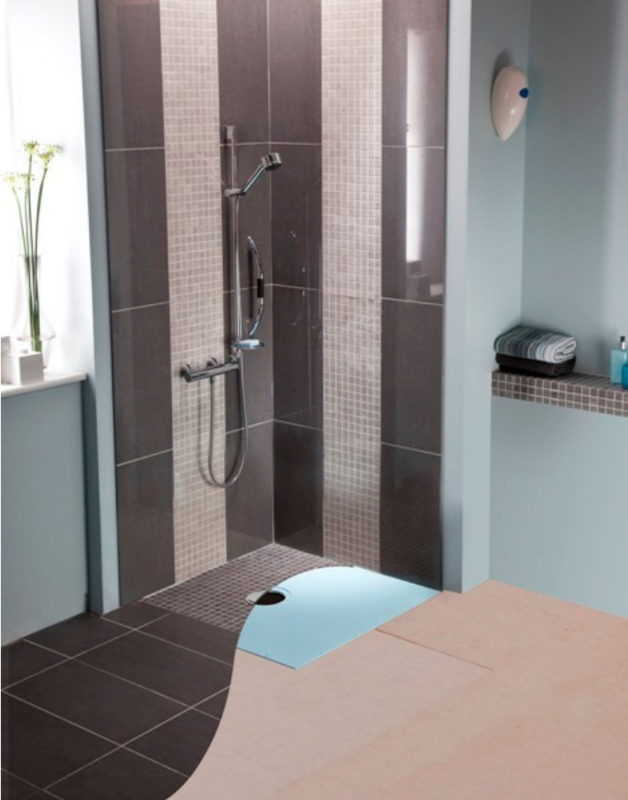 A product called a shower base former is used to create the slope of the shower (and it has the drain as the lowest point in the room). 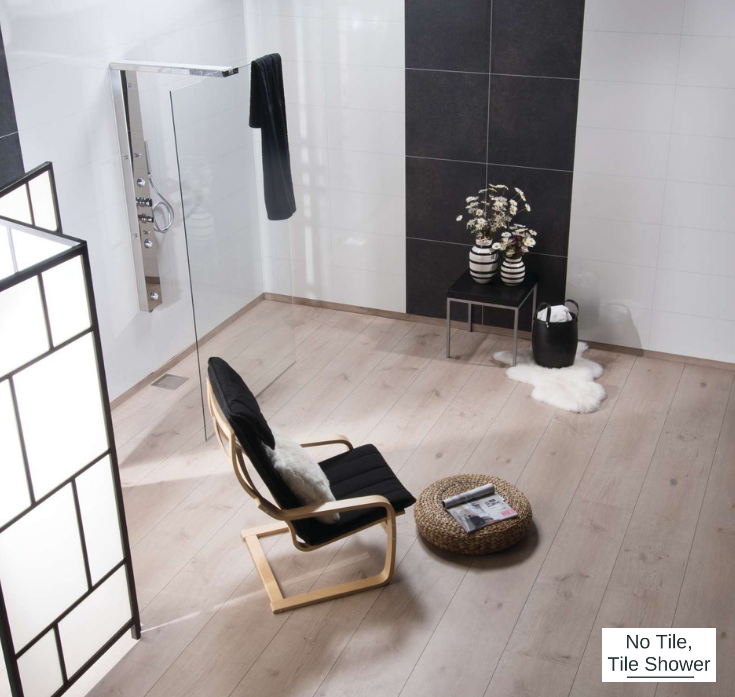 Since the entire floor in a wet room is waterproofed, water outside the main showering area is not a problem. Not only are wet rooms efficient, they also get rid of the step-over shower curbs which can cause falls, expensive hospital stays or moves to assisted living facilities (and if you have a family member in one of these facilities you know they’re not cheap). Make a more stylish bathroom. Make a safer bathroom. Blow up the shower enclosure and go with a wet room. 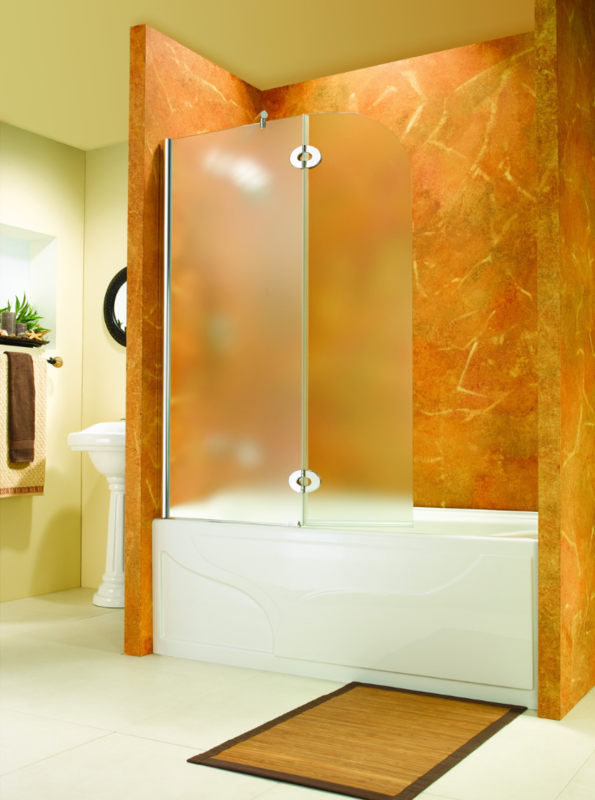 If your bathroom feels old and tired it may be because your walls create a closed-in cramped, claustrophobic feeling. Perhaps you have walls separating your ‘water closet’ from the bathroom. Perhaps you have tiled walls separating your shower from your bathroom. These walls don’t allow light to move from one space to another. Darker spaces contribute to falls (not a good thing). What the Euro’s know (and we are rapidly learning) is open-concept living is freeing. Eliminating visual barriers is a good thing. Right now, you may be saying, “Mike – we’re talking about a bathroom here – not a kitchen/dining room. I like my privacy when I’m on the ‘throne!” I get it. However, there are ways to have a more open bathroom without sacrificing privacy. One cool product used in Euro-inspired bath designs is a pivoting shower screen. A shower screen is a door which can move in and out (for an open walk shower) but can still be made of with a high privacy obscure glass. Another fun idea for your water closet is to use a high privacy glass block window inside the stud walls. Using this idea, you’ll still be able to have your ‘moment of privacy’ – but the space will be light-filled, and it will be easier to read as well (and we all know there is no better place to read than on the ‘throne.’). Another fun idea is to use an eclectic glass block wall to move light through your bathroom space, while adding a touch of style. Trend #4 – Getting more bang for your wet space buck. Put your tub inside your shower. The size of bathrooms makes it tough getting everything you’d like in them. You may be dreaming of a walk-in shower and a stylish freestanding tub but can’t figure out how to make them both work in your small bathroom. Here’s an idea we can take from our friends across the pond. Why not combine both into one space? When you create the open concept wet room (see trend 2), you’ve created one continuous area where both your shower and a relaxing free-standing tub can live together. It’s like a ‘BOGO’ deal for your bathroom. Trend #5 – Bring nature and the outdoors in. 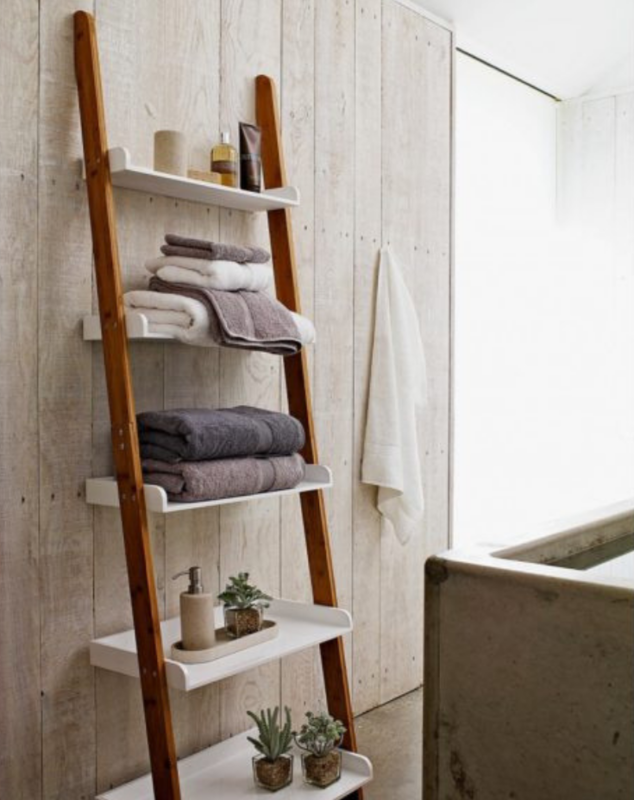 Using natural materials (or ones which look natural) in your bathroom. In your parent’s era a bathroom was simply a place to get clean…a washroom. Given our stressful lives you and I expect much more from our bathrooms. We not only want the space to function well, we want it to be a place to relax from a crazy-stressful day. An excellent way to accomplish this (as I’ve seen in some fun rustic bathrooms in Greece) is to design your walls with a simpler look, then use your decor elements for infusions of color. These elements can be lush green plants, or an old wooden ladder repurposed into a towel stand or a colorful paint or tile inlay. It can be to have a feature wall which look like concrete for a clean minimalist look. Don’t allow your new bathroom to be boring. Can you use some of these Euro décor tricks to dress it up? While I love the creativity and ingenuity of the design community in the United States, I still think when it comes to bathroom products and design there’s a lot we can learn (and adopt) from the Europeans. 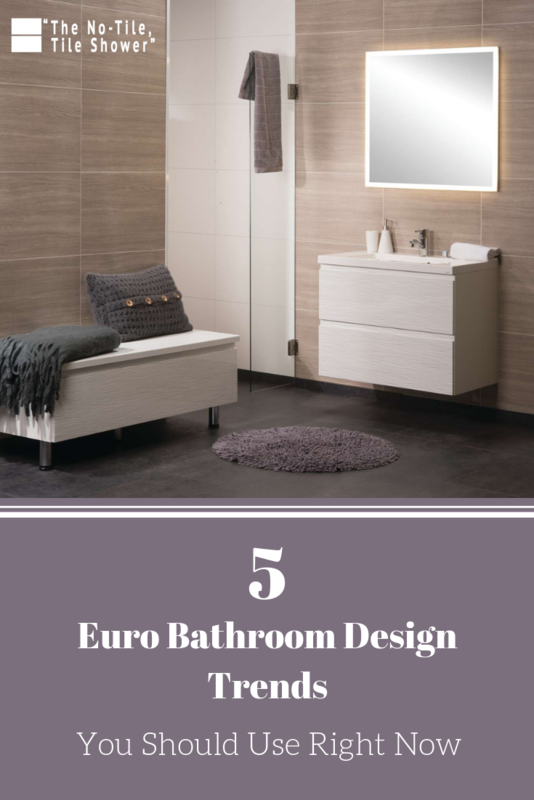 If you’re struggling with an out-of-date, not very safe, high maintenance bathroom you wish had more space – can you benefit from these European bathroom design trends above? If you’re struggling with how to pull together a cohesive design concept in your small space, we would love to help. Check out our lines of grout free shower and tub wall panels, one level wet room systems and glass partition walls and windows. Click on the links below or call to get free assistance and move your bathroom out of its time warped past. For assistance and factory-direct product supply of grout free shower wall panels, wet room systems and glass partition walls nationwide contact Innovate Building Solutions at 877-668-5888. For a bathroom remodeling project in Northeast Ohio call Cleveland Design and Remodeling at 216-658-1270 or The Bath Doctor in Columbus at 614-252-3242. Janet – thanks for your questions. Q: what is on the walls around the tub and shower? 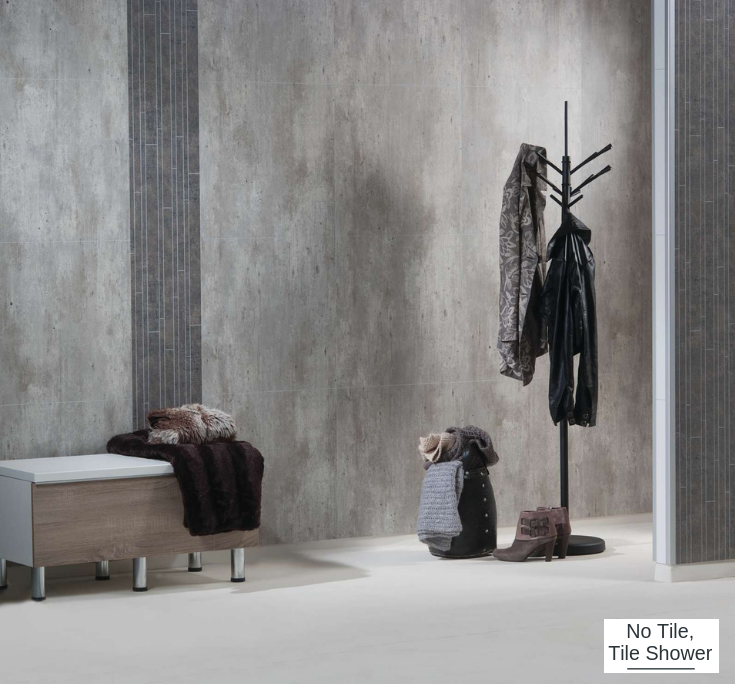 Those are ceramic tiles (although with the laminated wall panels you can create a similar look without grout joints. Q: what colors,of this product, are available? We don’t sell ceramic tiles so I would just be guessing on that. Where do we buy your products and do you ship them? I love the Trend # 4- Put tub inside your shower! Q: what is on the walls around the tub and shower? Q: what colors,of this product, are available? Q: what is the cost of this product? THX – we love your concepts!